Community Management Archives - Page 6 of 6 - Go Creative Go! 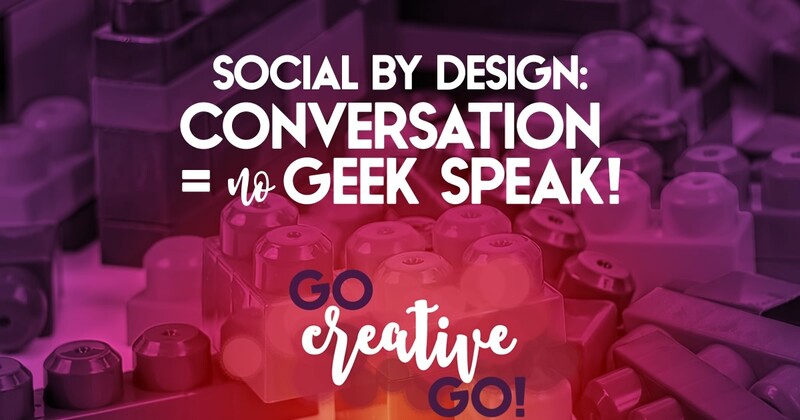 Conversational Social By Design: Get Rid Of The Geek Speak! When you’re a geek you have a language all your own (OK, the other geeks understand – sometimes). As a self-professed geek (card carrying frequent ThinkGeek shopper who casually peppers conversation with Star Wars, Marvel Movie and Princess Bride quotes), I work hard to keep my social voice just that. SOCIAL. Ever been cornered by the enthusiastic web developer at a Business After Hours event? The horrors! While his/her enthusiasm is initially charming, the egregious elocution soon becomes an assault on your ability to show even the minimum of polite interest. Sure, you know that CSS stands for Cascading Style Sheets, but you never know they were a topic on which you’d be expected to feign interest for fifteen minutes or more. You poor soul. Go get yourself that martini – and treat yourself to extra olives! At least at the BAH event you can hope a friend or colleague will notice your glassy, unfocused eyes and come to our rescue. When this type of activity occurs online it can be hard to “step away”, as our choices are limited to unfollowing or muting. Which is sad, because we geeks have a lot of wonderful and valuable information to share. We just have to sort out how to do it without boring or bombarding our audience. I’ve chosen to detail three types of geek speak today, but know there are dozens of geeky sub-dialects. Every industry and niche within that industry has a language of its own. It’s part of business culture, we strive to differentiate ourselves from our competitors and it’s easy to do so with language. However, the propensity to make things more difficult than they need to be is a growing concern among the brotherhood of geeks. We can differentiate and still be easily and readily understood. Word choice is a key part of communication best practice. The way you choose to express yourself, the words you choose to share can make a difference – good or bad – when it comes to making that connection, taking it up a notch to a real relationship and even a future sale. Acronyms: Sure. Cute little three letter abbreviations make it easy to get our point across, especially on Twitter. But, too many can clutter the conversation requiring those with whom you are speaking to search their brain bank to equate those letters with real meaning. While they’re doing that they aren’t listening and nothing you’re saying has any real impact. Buzzwords: While we understand the meaning, they’re so often repeated and so often misused that they no longer have value, i.e. “engagement”. When buzz words pepper your conversation you’ll find your audience tuning out and taking no note of what you have to offer. Speech or writing that uses too many words or excessively technical expressions. I’ve seen a real rise in this of late, and it takes me careening back to high school. Yes, HIGH SCHOOL. Remember that second-tier group of wanna-be popular kids? The ones that hung on every word of the reigning cool kids, the popular crowd? Instead of finding ways to stand out on their own, through sport, drama, or extracurricular activities, they made sure that the group of students they deemed third-tier heard them name and event dropping in an elusive bid to appear popular and cool. The funny thing was, that supposed third-tier were the real cool kids. The ones that were secure in their own skin, pleased to be part of a circle of friends – no matter the size, with shared interests and ideals. Now, look to social business and social media marketing. There’s certainly a list of cool kids – and just like high school some stay for the long haul and some drop off into oblivion, forgotten and even frowned upon. And there’s definitely that second-tier eagerly waiting in the wings, name dropping and link sharing with no intent except to get notice, offering no unique value-added ideas or opinions to the discussion. As with high school, with the benefit of hindsight, it’s that third tier that makes the biggest impression. Comfortable in their own skin, able to share and discuss ideas and differing opinions, striving to add to and benefit the conversation. Of course I share links from bigger names. Names like Jeff Bullas, Jon Loomer, Mari Smith, etc. There’s absolutely nothing wrong with sharing and discussing great content and ideas. But I do not engage in tagging volleys and comments for commenting’s sake in order to ensure the cool kids take notice. If they do take notice, great. Wonderful even. But it’s not the end goal, it’s not my intent and purpose. That intent and purpose is to create discussions with those who want to learn, laugh, lead and launch their own initiatives. It’s a cool place to be! You know what I’m talking about. These are the people that tell you that Twitter is the greatest thing since sliced bread and is going to out-American apple pie, but never seem to do anything except share articles from the same ten sources. It’s the people who wax rhapsodic about Facebook while at the same time wondering why they are getting less response to the same tired inspirational quotes layered over sunset images. Rose colored glasses create a pretty pink hue, but they also obscure the fact that if we want change, we have to ask for it, even clamor for it. If we get moored too deep into platform lovin’, no matter the reason, we miss the opportunity to help shape the platforms for the greater good – creating real relationships and valuable discussions. In closing, geek speak is often used as a crutch when we can’t engage in real interactive conversation. As stated by many of my industry peers and friends, we all want to converse and connect with real people. Lose the geek speak and get to the good stuff. Real conversation! Have I missed a particularly nefarious or heinous type of geek speak? If so, please share via a comment below. Only together can we create the kinds of conversation that educate, entertain and enlighten. http://www.gocreativego.com/wp-content/uploads/2014/08/GCG-pinnable-no-geek.jpg 1080 735 Mallie Hart http://www.gocreativego.com/wp-content/uploads/2016/07/GCG-sitelogo-new.png Mallie Hart2014-08-11 10:09:192016-10-12 17:59:05Conversational Social By Design: Get Rid Of The Geek Speak! I know this flies in the face of much of what we hear touted by the experts. We’re so often told that everything about social media marketing should be endeavored with your ideal client in mind. I realize you’re possibly scratching your head and wondering if I’ve gone round the bend and completely off track. But give me a minute and I think I’ll get you on board and we can all round the bend to a better place where social actually IS about us. It’s about you taking the time to read and form your own opinions before you retweet an article or infographic. Why? Because you’re in the process of building trust as an expert. And experts don’t share random crap, or worse – ideas and articles that are incompetent or irresponsible. It’s about taking the time to read industry articles and share relevant information that benefits your audience. Expertise isn’t gained in a silo. Social media isn’t possible solo, as we certainly can’t pretend that every idea, tip and tool is generated by us alone. It takes a village to stay up to date and on track with all of the changes to the platforms and more. Maintaining a smart and savvy peer group is a must. It’s about you sharing the lessons you’ve learned during your own business journeys and travails with those about to embark on their own journeys. We all make mistakes and we all celebrate triumphs. The highs and lows of business and entrepreneurship are the stories that help us appear human across social channels. While it might be painful to share some of these stories, it’s also freeing to share mistakes and keep your potential clients from setting down the same wrong path. It’s about you actively engaging in conversations with others via social platforms. While you certainly can schedule your posts in a relatively small amount of time, you can’t schedule the actual engagement. You never know when a conversations will arise and you have to be ready to actively converse, even in 140 characters or less per post. It’s about you choosing to share of your real self and coming across like a human being, rather than an automaton. It all goes back to that idea that you can’t schedule engagement. Social media marketing involves conversations, sometimes off the cuff and unexpected. You have to be willing to put in the time and effort. Canned, cut and paste or obviously scheduled responses aren’t social. It’s about you sharing your ideas or your take on an idea so you can add something new to the discussion. It takes knowledge and understanding to look at both sides of an idea or issue. That knowledge and understanding comes from being well read, sure, but it also means you’re willing to discuss differing ideas and interesting concepts with an open mind. It’s about you choosing to share the other side of the story if you feel that a discussion has become a little one-sided. If we all liked the exact same things the world would be a very boring place. There are two sides to every story, especially when it comes to social media marketing, where there are no one-size-fits-all solutions. There are many ways to converse and share with your audience and your peers. Looking at both sides of an issue shows you care enough to dig in and really seek answers that will help both you and your audience. It’s about you making the effort. There are no short cuts to social media marketing success. You’ve got to put in the time and effort. From reading to reaching out to peers and influencers, your task list will sometimes be long and the to-do items will be diverse. But that’s part of what makes it so exciting and fulfilling. I think you’ve probably sussed out where I’m going with this, right? Social media marketing IS about Y-O-U sharing what your carefully cultivated audience actually wants. 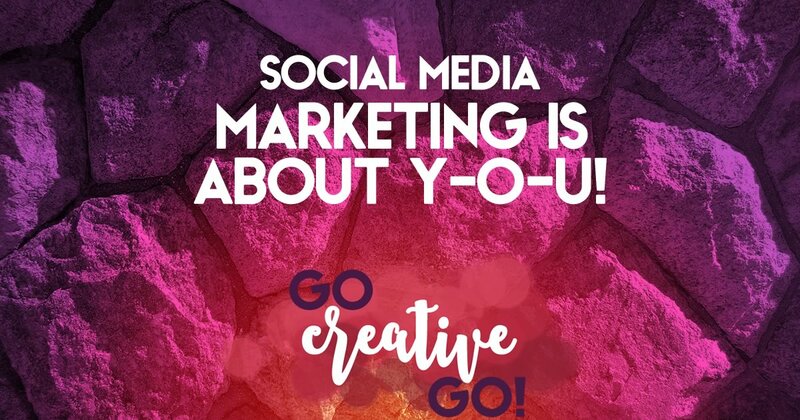 It involves Y-O-U making an effort, investing time and energy and actively tapping into your creativity to ensure your shares stand out from the steady stream of posts. How do you ensure the real Y-O-U shines in your social media shares and conversations? When you hear the words “social design”, you might immediately pair that phrase with the idea of images. While images are a key part of your social design and style – and will be discussed in a variety of different ways in future – they are only part of your overall design plan and course of action. 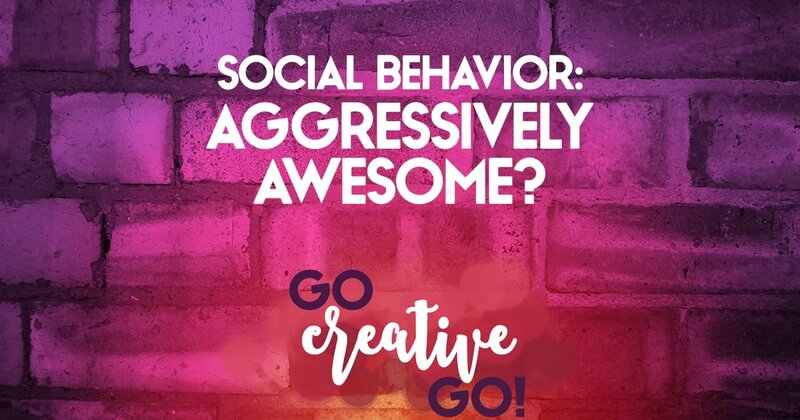 Social experts and entrepreneurs hammer home this crucial point more than any other, that social savvy and success hinge upon conversations, sharing stories and building relationships. How does that fit into your style? It’s a crucial element. Almost as often as you hear the words “story”, you also hear the word “genuine”. In order to have a successful social style you must remain true to your own style. Are you scientific, perhaps a little bit geeky? Do you ramble? Are you short, succinct and to the point? Nothing at all wrong with either of those styles. You simply have to promote that style in an engaging way within your social design framework. Remember, engaging is different than engagement. Being engaging will earn your a relationship, and possibly engagement, over time. Your word choice, writing style and overall tone all play a part in your social style as employed to uphold your social design. Because of this, some social platforms will work better for you than others. If you are that succinct, to the point, person mentioned above, Twitter is quite well suited to your style. You’ll have to work a bit harder to make it work for you on Facebook. But, short and succinct also works well on Pinterest. How so? While we all love infographics, we also know that sometimes they seem to stretch on forever, until we come across that gem that says it all in a small, but perfectly designed area. Those are the gems the short, succinct, to the point stylist should post and share. Your digital style has to match your in-person style. I’ll use myself as an example. Both in day to day in-person conversations and in writing I ask a lot of questions, both rhetorical and those that request a response. Then I follow up with a, usually, pithy response. Again, I do that in all types of conversations. Both online and off. Because we’re having conversations, even when our actual voice is never put into use, it’s essential to use our own tone and style in order to make that voice genuine. While imitation may be the sincerest form of flattery, mimicry doesn’t work when taken too far. Yes, you can get an idea from someone else’s writing and effectively add your own unique spin and flavor, creating something new and useful. However, if you try to cover up your own voice and ideas you will be regurgitating at best and plagiarizing at worst. Neither will earn you much credit with your followers and connections. Go back through your posts. Which ones get the most interaction, whether likes, comments or shares? If you do a little research I’ll bet the posts that get your followers the most involved are those where you are using your own unique tone and style. Why? The word “unique” is the key. In the vastly jaded world of business, there’s a been there, done that, seen it all mentality that permeates deeply. Our unique voice is all we have to punch through that fog in order showcase our expertise, ideas and our own spin. 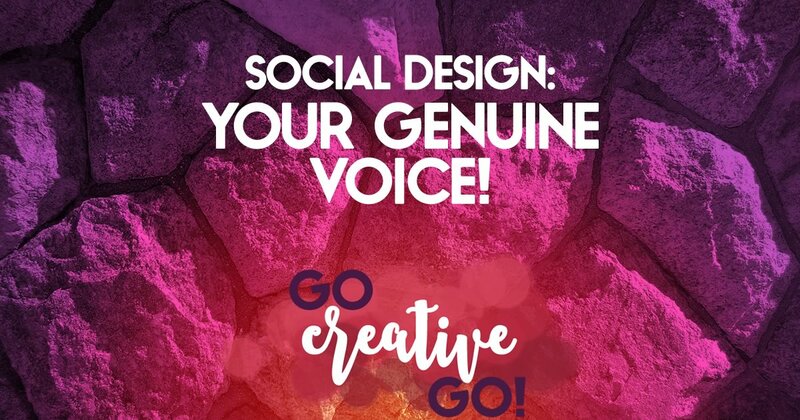 So the next time you’re thinking about your social design structure, think voice and tone along with imagery. That’s the complete package. While many of my followers know that I’ve taken up tennis in the last two years, many may not know that before I was bitten by the tennis bug I was an avid cyclist. While I did ride the road, my real love was for the trails. One of my long-time clients is actually a fairly well known machining company that creates industry standard bicycle components. I manage all of their social media and often find myself moderating conversations that get out of hand. Why do they get out of hand? Because cycling creates strong opinions. And there are MANY different types of cycling. Mountain, road, cyclocross, BMX, track, etc. And everyone has a different opinion. You’ve heard the phrase about opinions, right? You know, they’re like an unmentionable (at least in polite company) body part! Your Opinions Aren’t Always Ripe For Sharing! Opinions in and of themselves aren’t a problem, even when they’re strong. As long as they’re based on some sort of real understanding or smarts. It’s when the opinions have no basis in actual fact that things get a little heated and I have to start throwing my social media manager weight around. And don’t even get me started when the topic turns to the riding of wet trails. Chaos reigns. Why am I on another one of my tears? It’s not necessarily about the smarts, or lack thereof, of potentially ruining your bike and a stellar trail system. Nope. It’s really about the need of many social media managers and “experts” to take part in conversations when they really don’t understand or grasp the topic being discussed. Getting away from cycling, I can easily share another example. Many of us share movie or music quotes. They’re fun and can help set the mood for the day or for the project. Until some clueless looky-loo feels the need to chime in with a response that leaves anyone “in the know” shaking their heads. Yet, with every post about the Princess Bride, the Big Bang Theory or REM song lyrics, there’s that one person who chimes in despite being ABSOLUTELY clueless. They don’t ask a question if they’re outside of the loop, they respond as if they know what’s going on. Even when this couldn’t be further from the truth. I find this almost as annoying as the people who repeatedly share hoaxes as truth. Is it really that hard to check Snopes.com? No, it’s not. Just as it’s not that hard to take the thirty seconds to Google search whatever’s being talked about before you chime in if you’re not 100% sure you’re in the know. While I’ve shared two rather silly examples here, this clueless chatter happens on professional posts and shares all too often. It not only makes the chatterer look like a charlatan, it detracts from the professional conversation. When you don’t understand the premise or context of a post or share, it’s ABSOLUTELY okay to remain quiet. Commenting for the sake of commenting, in these cases, just makes you look clueless! 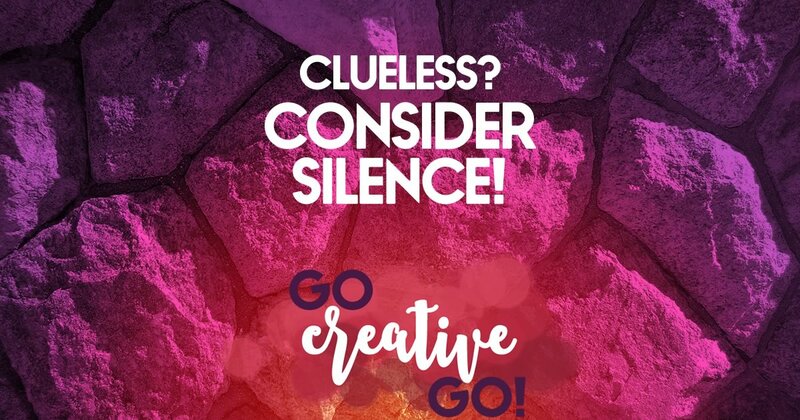 http://www.gocreativego.com/wp-content/uploads/2014/07/GCG-pinnable-clueless-quiet.jpg 1080 735 Mallie Hart http://www.gocreativego.com/wp-content/uploads/2016/07/GCG-sitelogo-new.png Mallie Hart2014-07-22 12:35:032016-09-30 17:05:52Clueless? Consider Keeping Quiet! 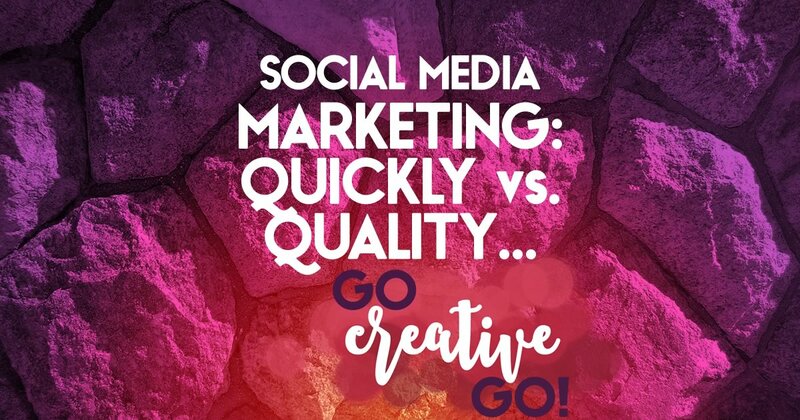 Social Media Marketing: Do You Choose Quickly Over Quality? How to articles often sprinkle, or sometimes spread thick with a trowel, the words “quickly” and “easily”. I often wonder if our desire to do EVERYTHING quickly and easily will at some point create a quality crux that damages our brand or business. At least once a week, it seems, if not more often, we see a story go viral about how a brand or business managed to mess up via social media. Fairly often the uproar has been caused by the reaction or lack of reaction to a customer service issue. Outages and issues arise, especially in digital business and how we handle those outages and disruptions requires that we remain in tune with our audience. I often find that the hustle to get out a message quickly, without the proper care to actually answering the questions in the complaints, can cause more problems than it manages to alleviate. Consider this, you’re dealing with an already upset customer or client. If you don’t carefully craft your response, you have the potential for further damage to a relationship that’s already teetering on the brink of disaster. Speak too quickly, without the proper empathy and without a real answer or solution and you’re responding only to respond, rather than to aid in a real and positive result. Canned responses or even in-real-time responses that sound canned aren’t social. They’re a rote response, not a service or product provider working to aid a client in need. Quickly can be effective, but it can’t be by rote or canned. It has to be catered specifically to the consumer and the specific issue. While our clients and followers expect a reply within what they consider to be a “realistic” time frame (and this varies from person to person), it’s harder to deal with the backlash of a less than stellar quickie response than it is to take the time to craft a response that actually assists those dealing with the pain point that caused the complaint or query. It’s a quality over quantity thing. Social media marketing is all about quality. Broadcasting or firehosing is about quantity. Which will you choose in the future? http://www.gocreativego.com/wp-content/uploads/2014/07/GCG-pinnable-quickly-quality.jpg 1080 735 Mallie Hart http://www.gocreativego.com/wp-content/uploads/2016/07/GCG-sitelogo-new.png Mallie Hart2014-07-15 12:14:152016-09-30 16:58:07Social Media Marketing: Do You Choose Quickly Over Quality? Aggressively Awesome? Social Behavior Failure! I spend a little time each day seeking out and interacting with possible new connections. It’s something I endeavor to do with intent and purpose, hoping to make meaningful, mutually beneficial connections. On this particular day I was flexing my connection muscles on Twitter. And I was outgunned. Wowsers! I should, apparently, be impressed. However, I’m not. Why? Because this kind of bio screams of an aggressive attempt to alert us to a superhero presence. Folks, I love my superhero movies. They’re my go-to when I’m working on the couch with the laptop. I can spend an entire working weekend with the likes of Marvel and Justice League heroes and heroines. Yet, despite this great love for the all powerful doers of good and battlers of evil, I know that superheroes are imaginary. This is, to me, a social behavior failure of near epic proportions. Why? Read on. In reality, where kryptonite and gamma rays aren’t factors, we’re all human. We sometimes wake up grumpy, wanting to bury our head under the pillow (this is me when the cats or husband spend the night aggressively sawing logs). Some days we spill our coffee down our shirts and have to change, sometimes twice. We have bad hair days, get lipstick on our teeth, drive too fast or too slow, break a shoelace, piss off a friend or colleague. I could go on and on, but you get the picture. Sometimes we make the wrong call on a post or share. Sometimes we forget to say thank you within an hour. Sometimes, being quite honest, we’re just FAR from perfect. The people I look up to, the people who keep me going when I’m feeling down are the kinds of people that have learned from foibles and mistakes in their human pasts and have chosen to engage in real and responsible social behavior. They don’t profess to be experts, gurus, mavens or ninjas in an industry that’s as prone to change as Cher at a gig on the Vegas strip. They prefer to engage in conversation, with plenty of getting to know you candor, rather than creating and force feeding me a laundry list of their awesome attributes. As for the paragon of virtue described above? I chose not to connect with her. Maybe I’m just not awesome enough? Maybe it all boils down to me being insecure or even scared. But I’m just not really up to connect with someone who probably thinks she poops pink peonies! How’s that for some alliteration?!?! What kinds of social behavior set your teeth on edge? Please do share in the comments! http://www.gocreativego.com/wp-content/uploads/2014/01/GCG-pinnable-aggressively-awesome.jpg 1080 735 Mallie Hart http://www.gocreativego.com/wp-content/uploads/2016/07/GCG-sitelogo-new.png Mallie Hart2014-01-27 12:25:492016-09-27 19:22:52Aggressively Awesome? Social Behavior Failure!